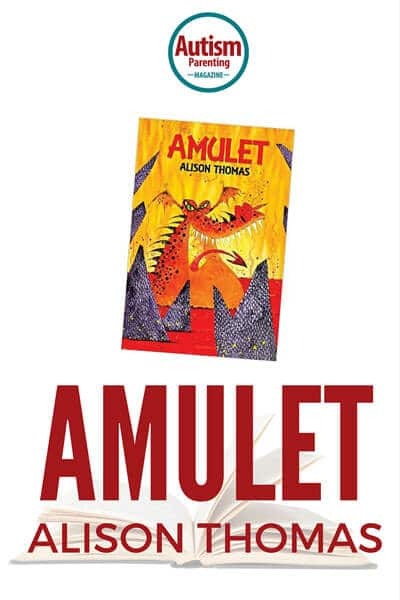 Amulet is a magical story of cave dwellers, clowns and vegetarian dragons. Eleven year old Dion has Asperger’s. The structure Dion so heavily relies on falls apart when he is kidnapped and taken to a mysterious land. With his life now in danger; he will have to use all the skills he has been taught, to cope in this strange new world. Will his sister Megan get to him in time? Not if the evil Queen has anything to do with it. For a boy who doesn’t like change. Dion’s inner strength and determination is the one thing he will have to rely on. Amulet is a valuable reading resource for individuals, families, professionals, carers and schools. Throughout the book Dion talks about his autism and explains the ways in which he copes with daily challenges. http://www.candy-jar.co.uk/books/amulet.html and is also available from some online book retailers such as Amazon, WHSmiths & Waterstones. Alison Thomas is a trained Autism Assessor who worked within a multi-disciplinary Autism Assessment team. She is also a Learning Disability nurse and wanted to use her training combined with her enjoyment of story writing, to further Autism Awareness. She lives with her family in Wales, United Kingdom and studied at Bangor University where she gained a First Class Honors Degree.